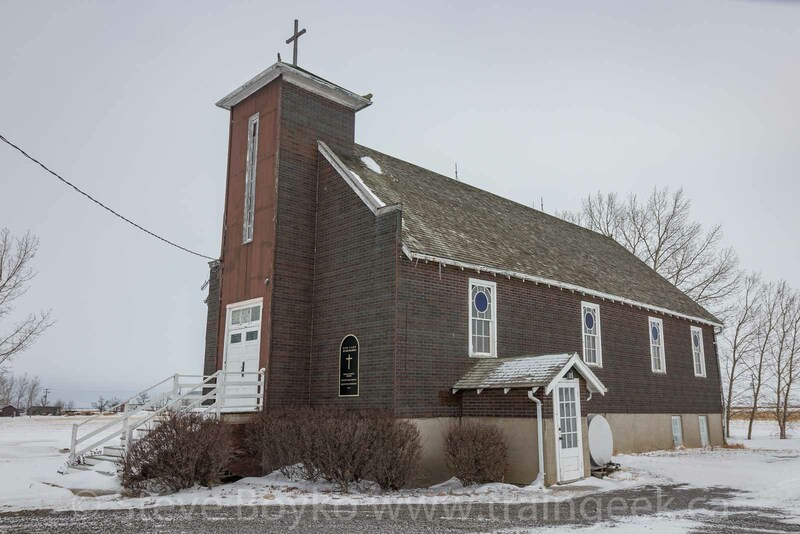 The Our Lady of the Prairies church in Rowatt, Saskatchewan was built by the community in 1939. 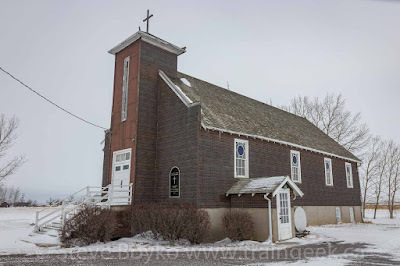 It was a Roman Catholic church until it was officially deconsecrated in early 2018. The community of Rowatt has gradually dwindled. There were several grain elevators in Rowatt at one point, but the last one was demolished in 2016. The church saw its last mass in 1992. 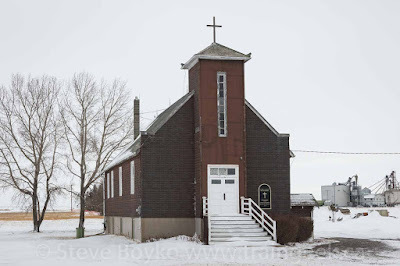 It is located on highway 6, about 6 km south of Regina. These photos were taken on February 2, 2019. I had to look up "deconsecrated", interesting. Nice Steve! I stopped by the same church when I was at Regina last month as well. A nice old church. Is that faux brick? I wonder if it has nice wood underneath?